Dr. Levy is a 1982 Graduate of the LSU School of Veterinary Medicine. 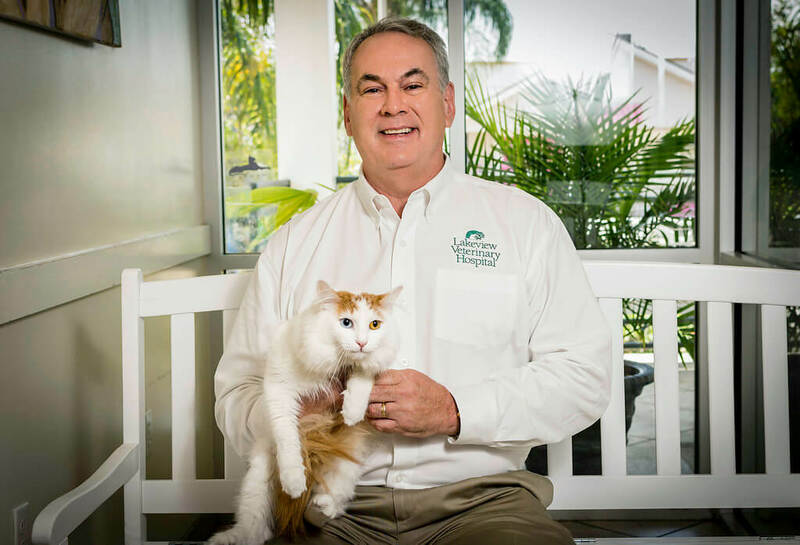 He has been with Lakeview Veterinary Hospital since 1973, when he started as a veterinary assistant. 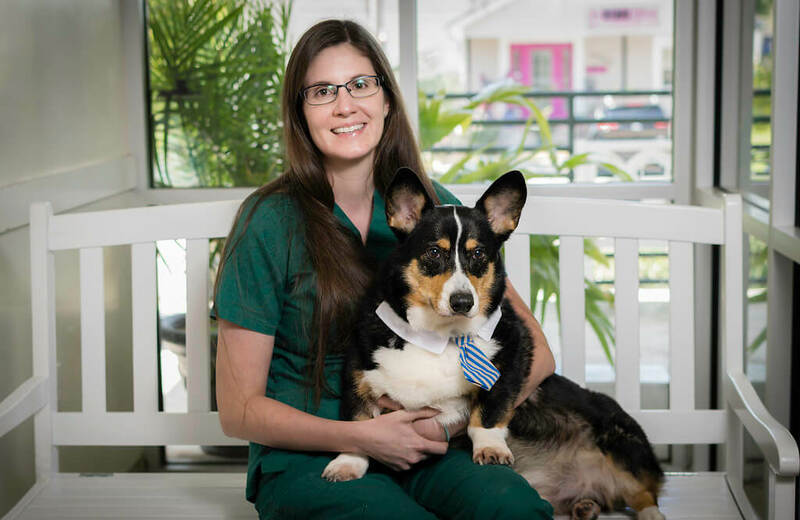 He became Board Certified by the American Board of Veterinary Practitioners(ABVP) in the specialty of Companion Animal Practice in 1993 and is one of only three such specialists in Louisiana. The ABVP promotes and recognizes high standards in the art and science of Veterinary Practice. 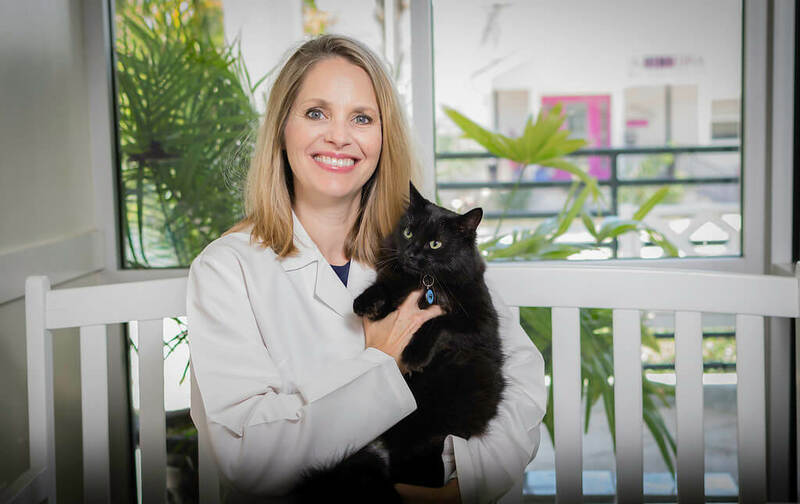 Dr. Levy has served twice as the President of the Southeast Louisiana Veterinary Association and served on the Louisana Board of Veterinary Medicine. He is married to Claudia and they have three children, four grandchildren and one cat, Bentley. 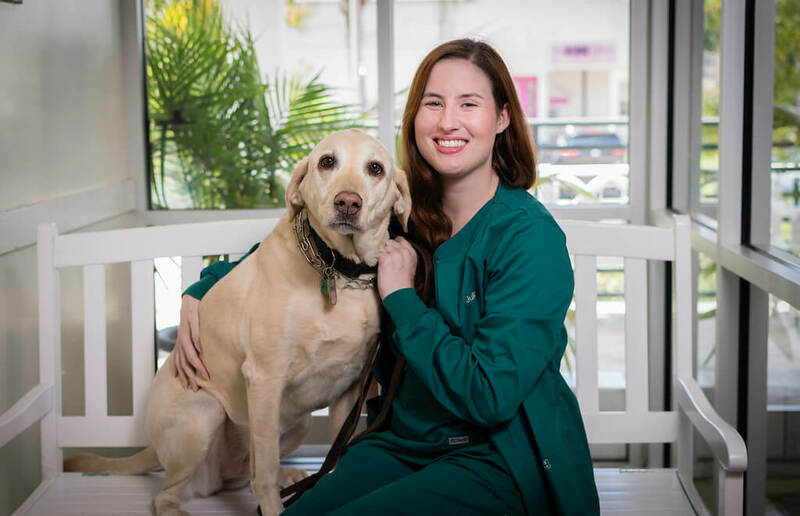 Dr. Clare Guichard graduated with a Bachelor of Veterinary Medicine and Surgery from the Royal Veterinary College in Edinburgh, Scotland in 2011. She is a native New Orleanian and attended Mt.Carmel Academy high school. She attended Loyola University before transferring to LSU and completing her degree in Animal Science and Technology. She also received a Masters in Veterinary Science from the University of Edinburgh. Her love of animals started at an early age. She knew she wanted to become a veterinarian after volunteering every summer at the Audubon Zoo. She also worked for several years as a veterinary assistant. Dr. Guichard has a keen interest in exotic animals and has even traveled to Africa and Indonesia to study veterinary medicine on the wildlife there. She divides her love between her husband Dr. Ross (a fellow American & Scotland classmate), their son Oliver and their two French Bulldog (Stella) and (Olivia), their cat (Ringo) and her snapping turtle (Ignatius). Clare has a special interest in surgery, exotic animal medicine and ultrasound. Her hobbies include music, photography, water skiing and camping. 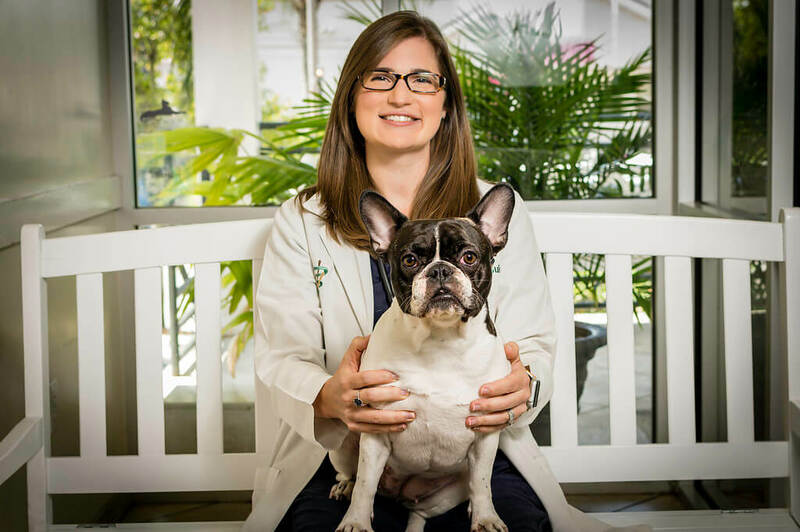 Dr Ward is a 2004 graduate of the LSU School of Veterinary Medicine. She returned to her native New Orleans from Houston to be a vital part of the rebuilding of this great community. 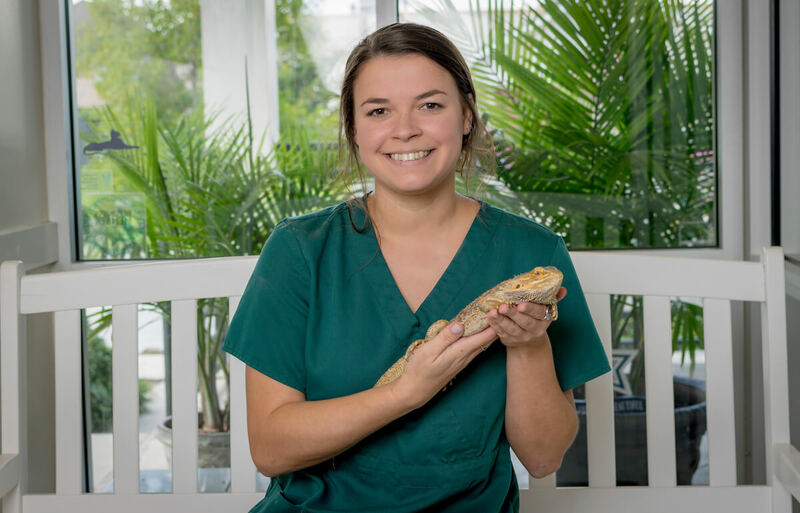 In addition to her expertise with dogs and cats, Dr. Ward also has an interest and extensive experience with exotic pets. 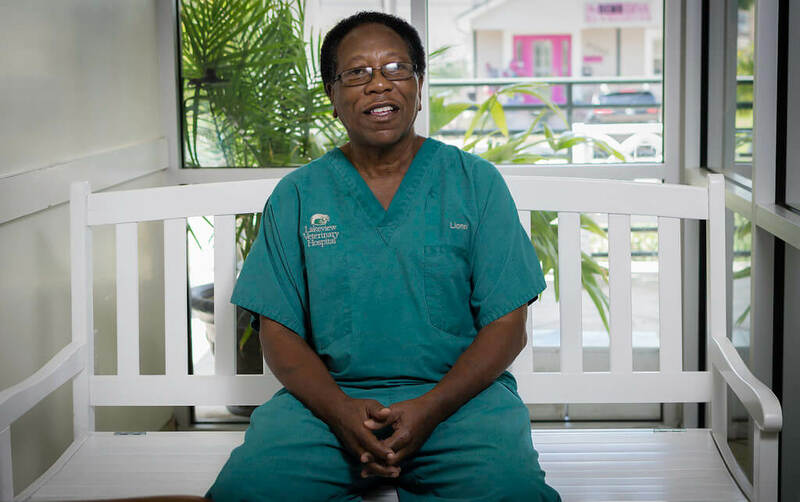 Prior to becoming a veterinarian, Dr.Ward was a paramedic with the city of New Orleans. She is married to Ochsner cardiologist, Dr. Rob Bober. She and her husband share their home with their daughters, Rowan and Sloan, son, Geddy, and two cats, Rex and Vader. Dr. Ross Goldman graduated from the University of Edinburgh in Scotland. After graduation, he completed a Small Animal Rotating Internship at Oklahoma State University, where he broadened his surgical knowledge. He then worked as an Emergency Veterinarian and volunteered alongside a Board Certified Surgeon. This opportunity allowed him to gain experience in outpatient orthopedics and more advanced soft tissue surgical techniques. He has also completed continuing education certificates in orthopedic surgery. 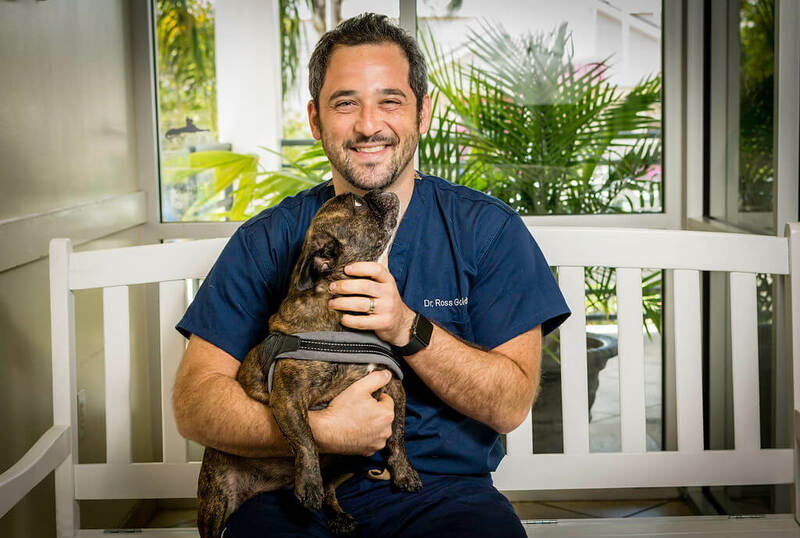 As a relief veterinarian, Dr. Goldman provides most of our orthopedic and advanced surgical procedures. He has a passion for bulldogs and has two French Bulldogs of his own, named Olivia and Stella. He also happens to be Dr. Guichard’s husband and Oliver’s father! Dr. Michelle Godiwala graduated from the College of the Holy Cross in Worcester, Massachusetts in 1999 with a Bachelor’s degree in Psychology. After working for a number of years in Human Resources, including a two year international assignment in Paris, France, she returned to school at Tufts University and completed a Post-Baccalaureate Pre-Medical degree. 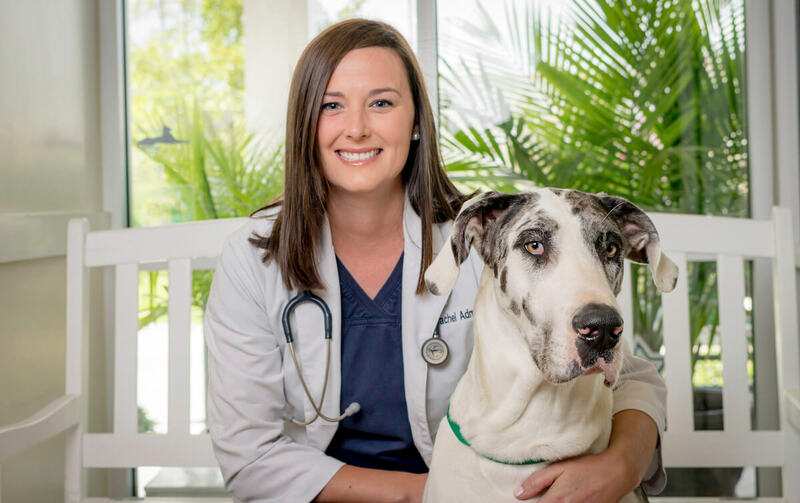 She completed her first year of veterinary school at Tufts School of Veterinary Medicine and then moved with her husband, a New Orleans native, to Louisiana where she completed her degree at LSU School of Veterinary Medicine in 2009. 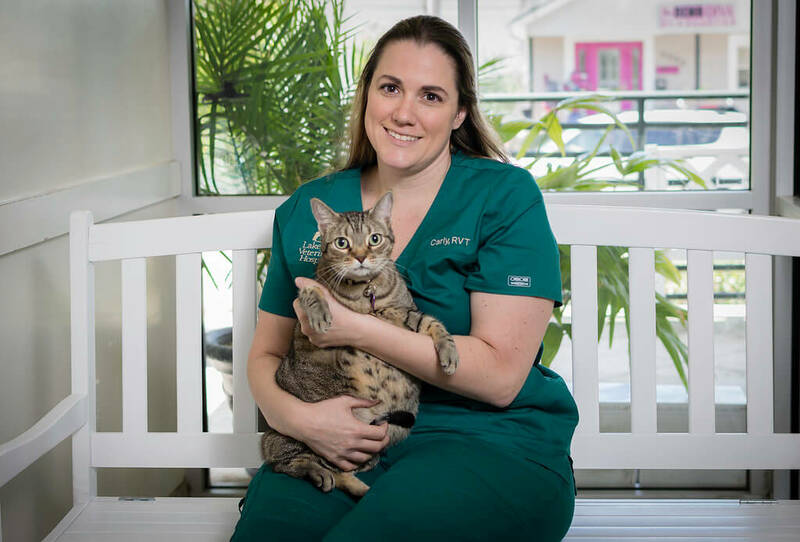 Dr. Godiwala then completed a rotating Small Animal Medicine and Surgery internship at Southeast Veterinary Specialists in New Orleans before moving around the Northeast for her husband’s medical training in pediatric critical care. Dr. Godiwala worked for three years in Connecticut with the Connecticut Valley Veterinary Associates at small animal practices in both Middletown and Essex. 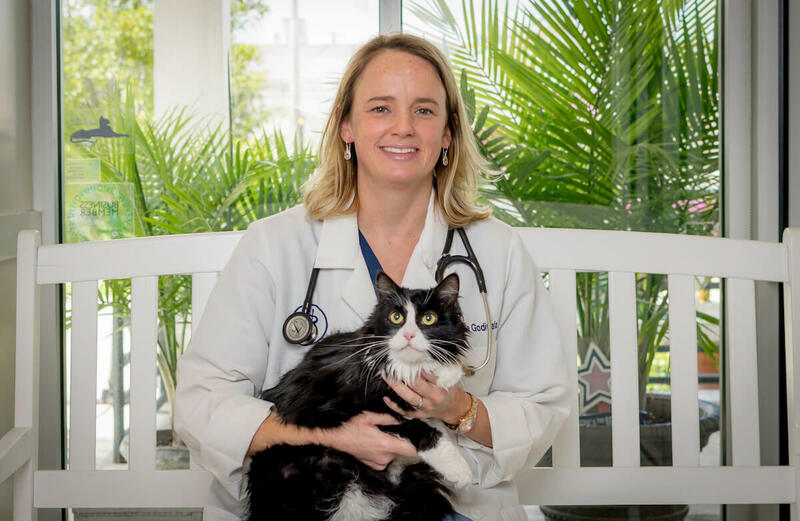 She then worked for three years at Dupont Veterinary Clinic in Washington D.C. Dr. Godiwala and her husband moved back to New Orleans in 2016. She has a special interest in Dermatology and Internal Medicine. When not working, she enjoys spending time with her husband, Children’s Hospital critical care physician Dr. Nihal Godiwala, and their two sons, Cooper and Benson, and their dog, George and their cat, Penny. Rachel Admire is a 2010 graduate from the University of Missouri-College of Veterinary Medicine. 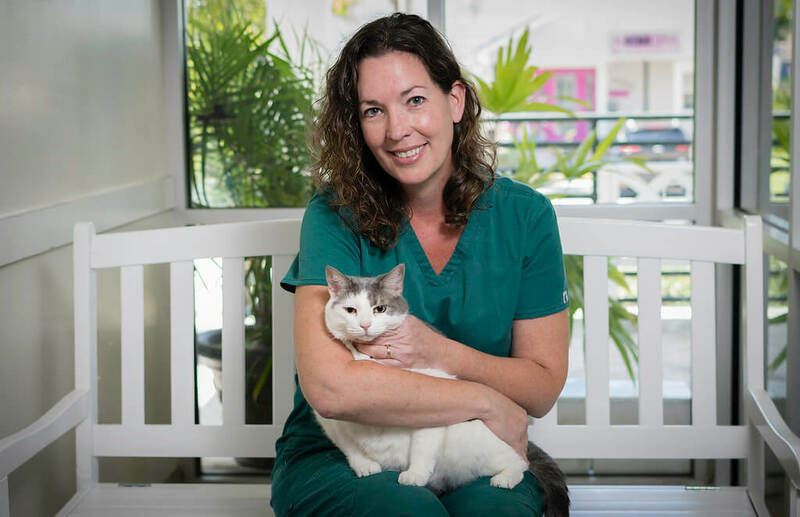 Following graduation from veterinary school, Dr. Admire moved to New Orleans with her husband, Beau. After 3 years of private practice, Dr. Admire moved to Arkansas and was in small animal practice there. After 5 years, she and her husband knew they belonged in New Orleans and made the decision to move back, this time with two daughters in tow. They are happy to make New Orleans their home. 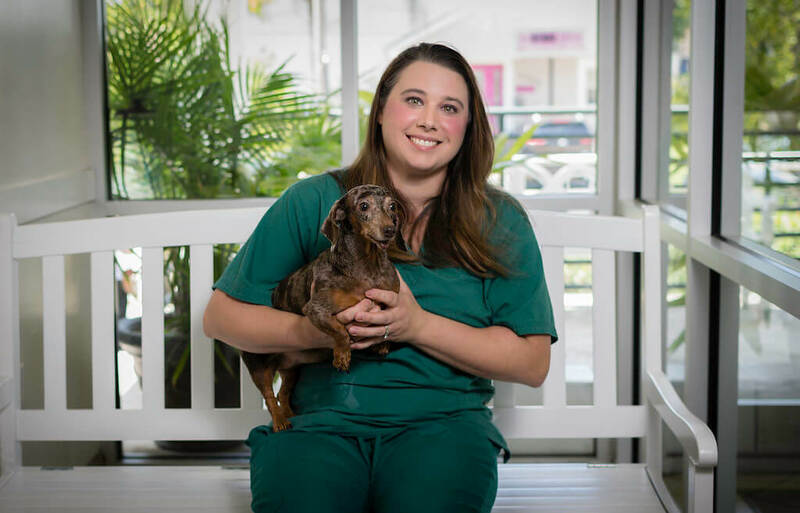 Dr. Admire enjoys all aspects of small animal general practice, but particularly enjoys dermatology, geriatric medicine, and preventative care. She enjoys attending continuing education seminars to continue to learn and offer the best care for her patients. 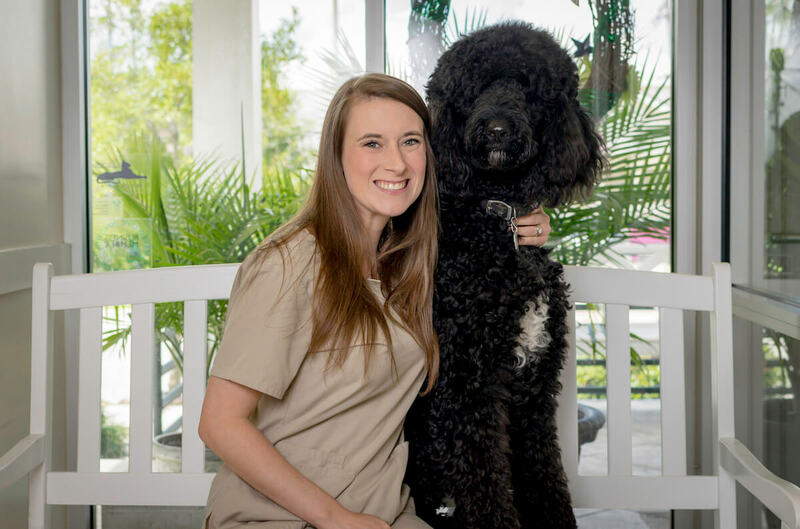 She is passionate about increasing the human-animal bond and is very excited to join the team at Lakeview Veterinary Hospital. Dr. Admire has 1 dog, a miniature schnauzer named Frankenstein. Outside of Veterinary Medicine she enjoys traveling, trying new restaurants, running and spending time with her family. 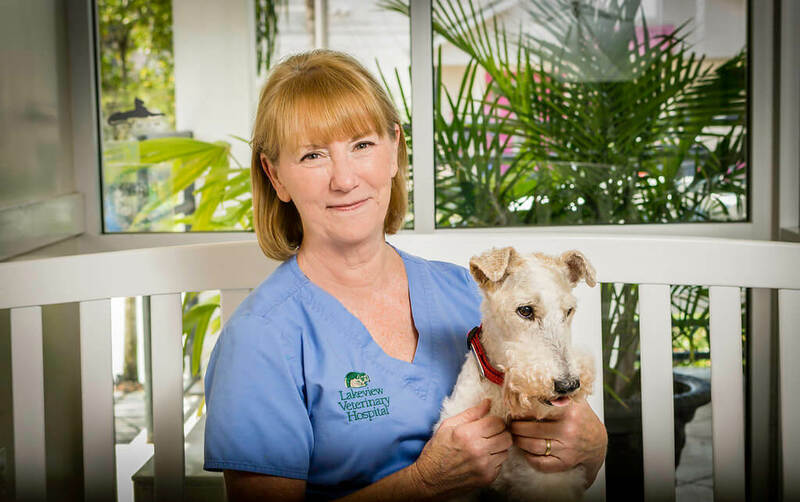 Sandy is the ‘baby’ sister of practice founder Dr. Robert J. Morris and has been with Lakeview Veterinary hospital ‘forever'(1972)! Sandy has long served as our business manager. She is married to Greg and they have a daughter, Jen, and a dog, Billie. 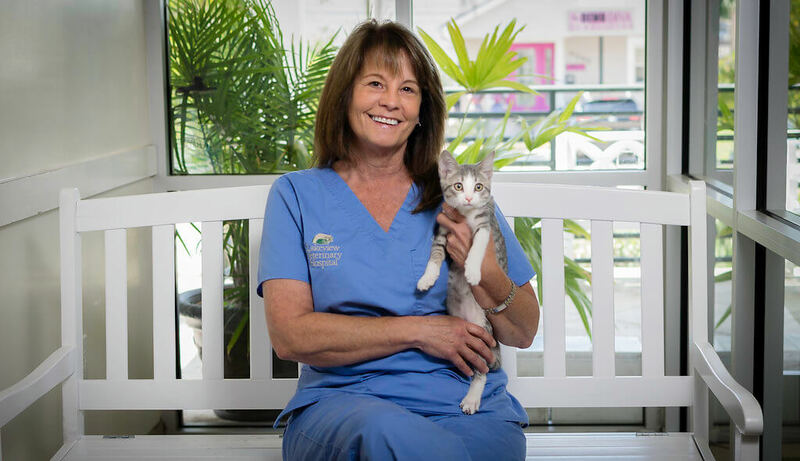 Joyce began her career at Lakeview Veterinary Hospital in 1986. She graduated from Macomb College in Warren, Michigan. 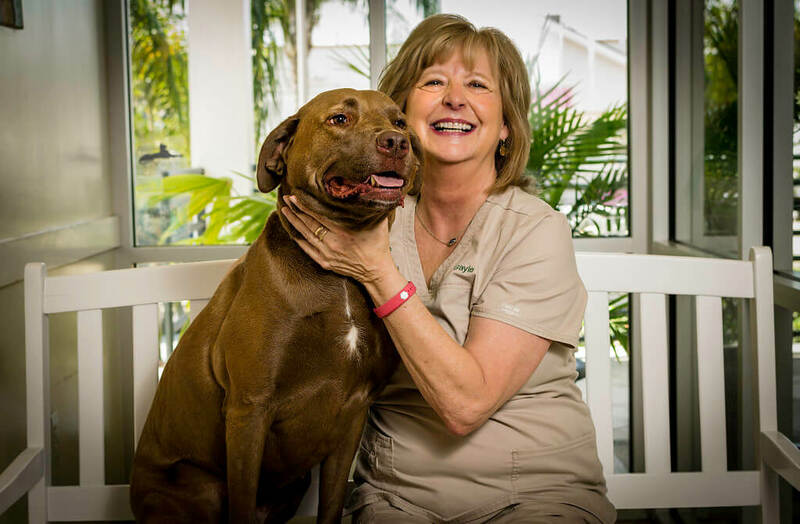 She has an associates degree in applied sciences and is also a registered veterinary technician. Joyce started at LVH as a registered technician, but soon became technician supervisor, and for the last 17 years, she has been our hospital manager. In her spare time she enjoys breeding and selling straight Egyptian Arabian horses. Her favorite past-time is riding her gelding “Solitare”. Joyce also enjoys traveling and new adventures. 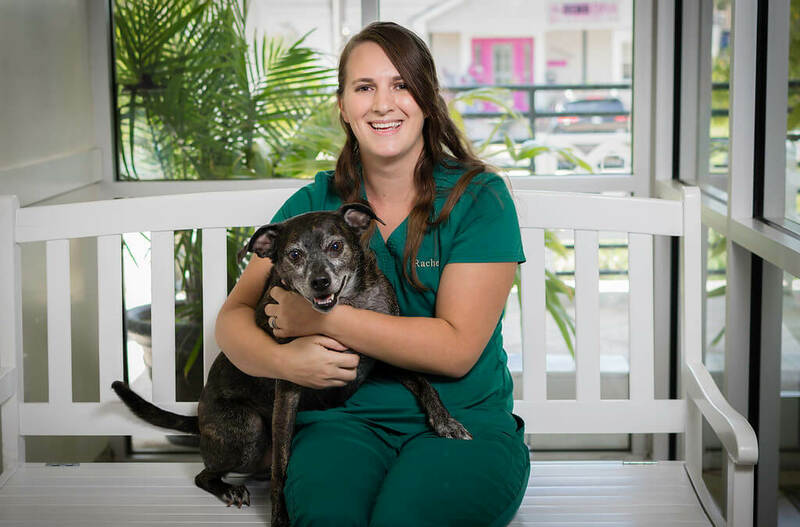 Katelyn joined our Lakeview Veterinary hospital team in May 2009. She graduated from Cabrini and received her degree in Psychology in 2013 from the University of New Orleans. 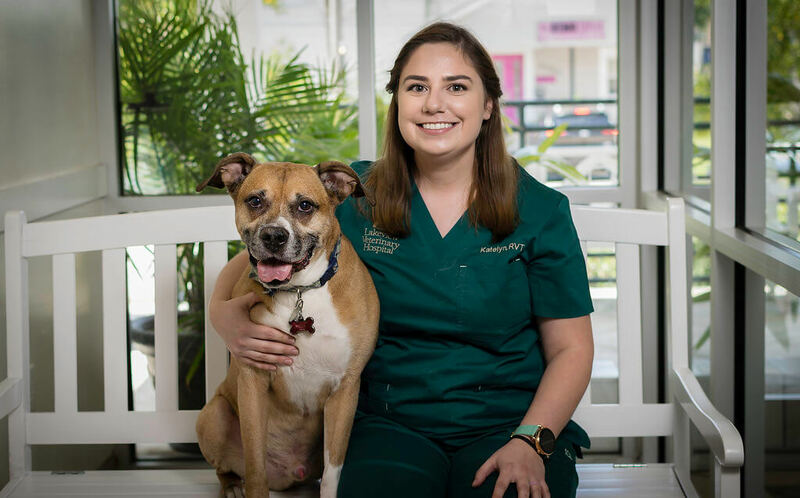 She recently graduated from the Penn Foster Veterinary Technology School Program, passed her boards and is now is a Registered Veterinary Technician . She is married to Dominick and they have two dogs, Lebowski and Stevie, two cats, Lulu and Cleopatra, two bearded dragons, Lenny & Louie and Heavenly Angel Puppy Maple. Caitlyn joined our staff in June 2011. She was born and raised in Kenner, Louisiana, and graduated from Dominican in 2011. She has extensive experience working with exotic animals. Caitlyn is currently attending Xavier University and majoring in Chemistry. She plans to apply to the pharmacy program at Xavier in the future. When not at work, Caitlyn loves spending time with her husband and her many pets. Carly was born and raised in Metairie, Louisiana. 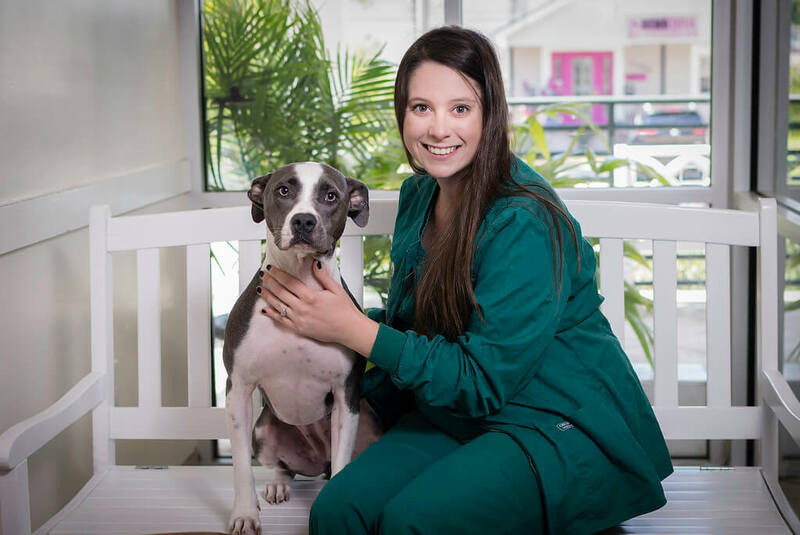 She recently graduated from the Veterinary Technician program at Delgado Community College. Carly shares her house with her dog Piper, three cats, Calliope, Poppy and Pixie, and her Senegal parrot, Zulu. When not working, she spends her time with her boyfriend, family, and friends in addition to volunteering at a local animal shelter. She has passed the VTNE & is now a Registered Veterinary Tech in Louisiana. Rachel lives in Metairie with her husband, Chris, new baby CJ and her two dogs Pee-Wee and Annie. She is studing to obtain her degree as a veterinary technician through Penn Foster online college. When she is not working she loves walking downtown for Saints games, taking Pee-Wee and Annie to the dog park or just relaxing at home watching a movie. Julie was born and raised in Kenner and graduated from Ecole Classique in 2009. She graduated from Nicholls State University with a degree in biology. 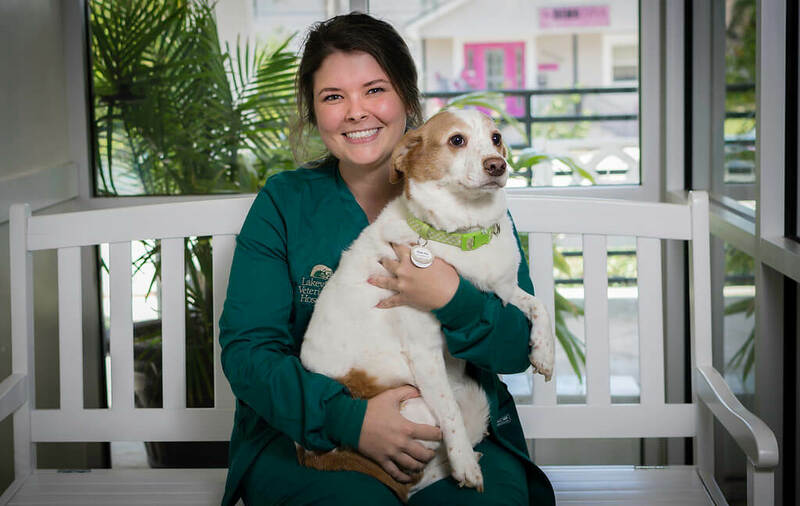 Because of her passion for animals since kindergarten, Julie would like to pursue veterinary school. In the meantime, she volunteers at ARNO when she can. In her free time she likes to hang out with family and friends and enjoys movies, dancing, the beach and new adventures. She has a Labrador Retriever, Bella who she considers her “baby girl”. Jena was born and raised in Mansfield, Louisiana. She moved to New Orleans in January 2016 and started at LVH in March. She graduated from Louisiana Tech University where sh studied Theater and English. After college, she moved to the city to live with her best friend. 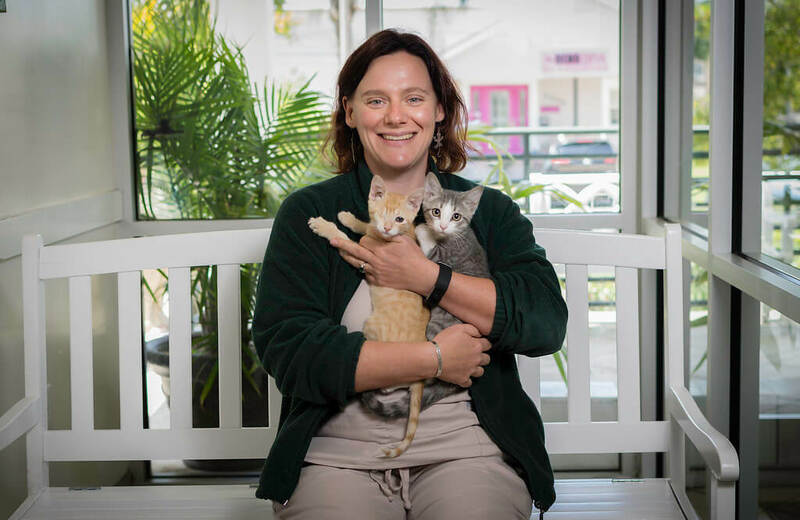 Before LVH, Jena worked for a small town veterinarian in Northern Louisiana for many years, so she knew she would love it here. Her favorite thing here is the food and she also loves to read, paint, and be outside as much as possible. Meghan joined LVH in January 2017. She was born and raised in Kenner and graduated from DeLaSalle High School in 2012. She is currently attending Delgado Community College and plans on joining the Vet Tech program next fall. When not at work, Meghan enjoys spending time with her husband, baby Penelope, friends and four dogs. Ilene is a Philadelphia native. 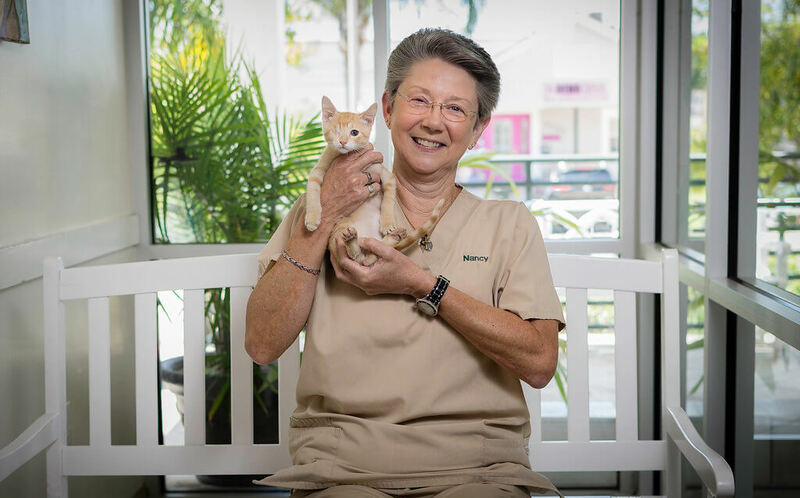 She spent the last several years in the Florida Keys before moving to New Orleans in 2016 with her husband Rob, dog Otis, cat Schmutz and her rabbit, Billie. 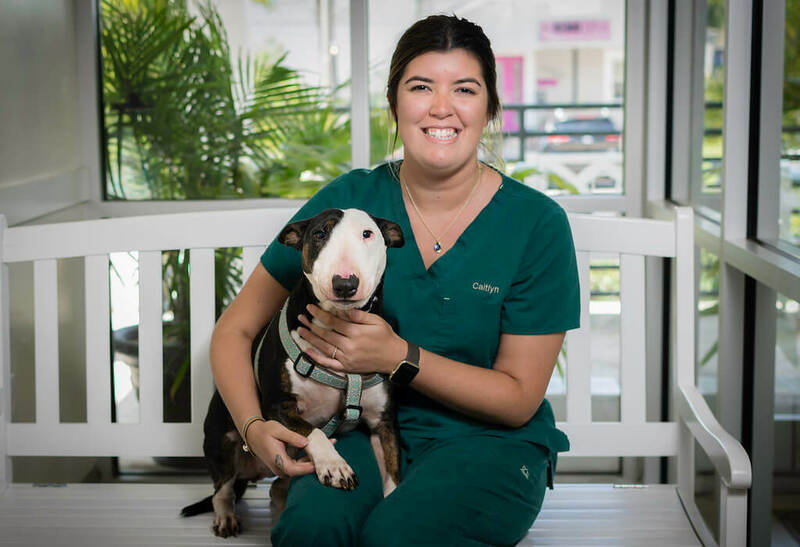 Ilene joins the Lakeview Veterinary staff with a B.A. in Foreign Languages from Bloomsburg University, an Associate’s degree from Cedar Valley College in Applied Sciences: Veterinary Technology and achieved Certification as a Veterinary Technician in 2011. In her spare time, Ilene enjoys biking, reading and watching classic movies. Kristine was born and raised in Kenner. She graduated from Archbishop Chapelle High School and then the Veterinary Technician Program in 2013. She is studying now for the VTNE test. Kristine and her husband, Travis have a dachshund named Blue. Her hobbies are baking, shooting pool and spending time with friends and family. Morganne recently moved to New Orleans from Lake Charles. She graduated from LSU with a bachelors in Animal/Dairy/Poultry Science in 2010 and a Masters in Animal Science in 2013 from Tarleton State University. She has now been working in the veterinary field for many years. Morganne has a fiancé, Michael, three dogs: Toby, Meiko & Kody, two cats: Marshall & Kylo and a ball Python, Mary. She enjoys traveling and has done wildlife research in South Africa & Botswana. Katelynn came to LVH during the Summer of 2017. She always had a passion for working with animals and would like to go to veterinary school one day. Katelynn graduated from LSU with a Bachelor’s Degree in Animal Science and a minor in Agricultural Business. She has a hamster named Eevee. She loves cats, bunnies, pizza, coffee and Netflix and likes to spend time with friends & family, bowling and going on an adventure. 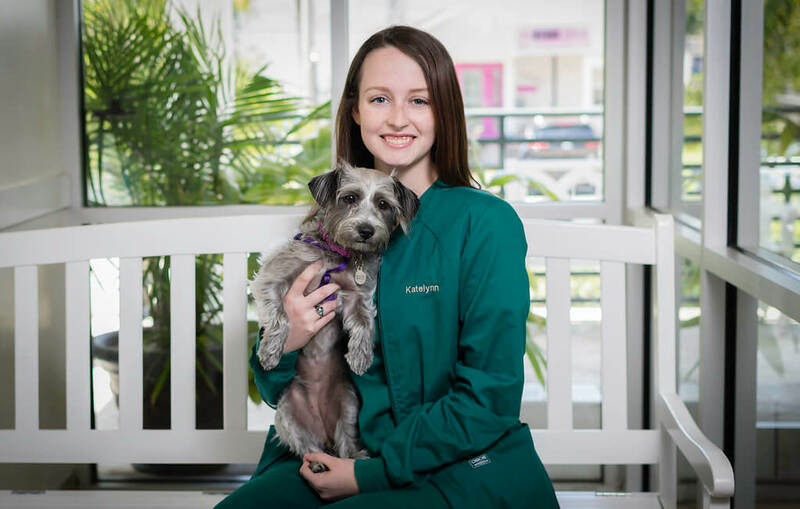 Danielle joined Lakeview Vet in 2017 as a senior at Mt. Carmel Academy. After graduating, she went to LSU to pursue a degree in Animal Sciences. Danielle’s passion for veterinary medicine has brought her back every year for semester breaks and summers. She plans on applying to Vet School in the coming year. Danielle has a bearded dragon, Rango and a pit mix named Louise. Ebony was born and raised in Marrero and graduated from John Ehret High School in 2010. She currently lives in New Orleans with her husband, David and their four legged children, Zeus, Hooch and Grout. 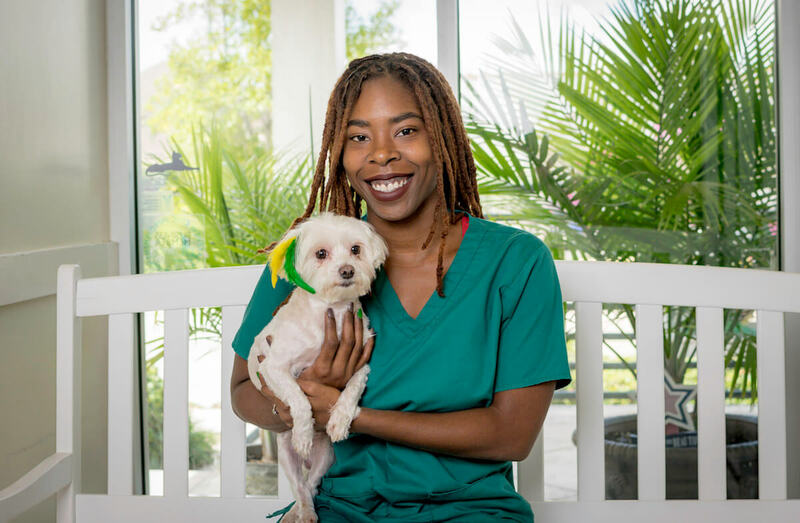 Ebony graduated from the Veterinary Technician program at Delgado Community College where she obtained her Associates Degree of Applied Science. She is studying now for the VTNE exam. When not at work Ebony enjoys fishing, going on new adventures with her husband and spending time with her family. Darryl was born and raised in New Orleans, but has worked in Georgia and Texas. He has worked for 17 years in multiple aspects of the veterinary field as a Vet Tech, Surgery Tech and a Kennel Tech. He is a hard worker and loves working with animals. His interest and hobbies are remote control models since he has four grandchildren, who are the joy in his life. 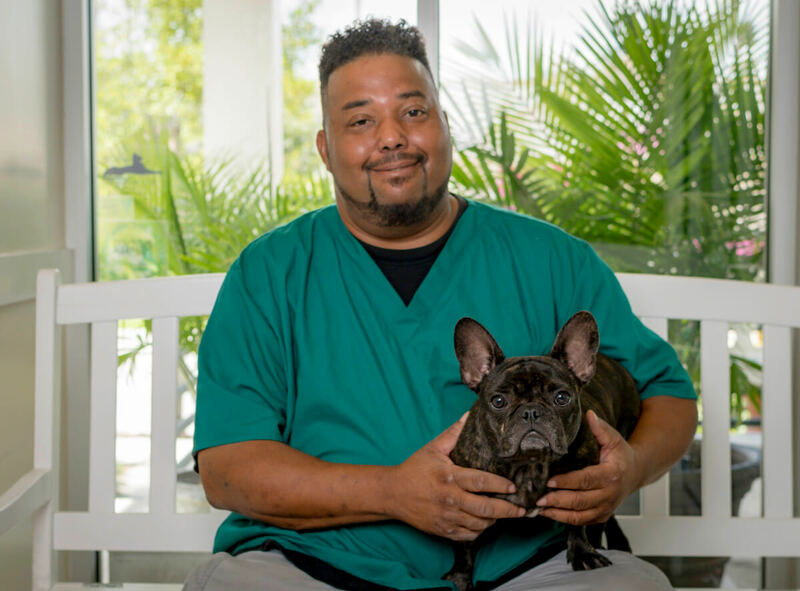 Darryl is also a local/national music artist and has performed all over the United States, but his main goal is to be a great Vet Tech and help animals. Waking before the sun and arriving at Lakeview Vet every weekday before office hours, Nancy gets a head start on the days’ chart updating, appointments, and phone messages since 1991. Before she starts the reception work, Nancy makes her rounds through the hospital to make sure that all of the pets had a good night sleep. If Nancy can’t be seen at the reception desk, she can be heard in some part of the hospital singing oldies, her favorite type of music. On the weekends, Nancy enjoys riding her bike, walking (if New Orleans heat and humidity allow) and spending time with her eight cats. Gayle joined our staff in September 2008. She is also a long time resident of Lakeview. Her family consists of her husband Tommy, two daughters, Jennifer (husband Paul) & Rebecca, and three beautiful grandchildren, Olivia, Abram & Kate. Her four-legged family includes a chocolate lab mix , Molly “The Moose” Brown and three cats, Lil’ Bit, Puddin, and Oli. Gayle has 20 years in education and she says she, “gave up the two legged kids for the four legged ones”. When she is not working at the clinic, she enjoys reading, gardening, crafting, and spending time with her family and pets. Regina joined the Lakeview staff when she moved to New Orleans from Kansas by way of Texas. When she’s not working at the front desk, she enjoys reading, hiking and biking with her husband Richard. She also enjoys spoiling her two new kittens Capt. Jack and Maracas along with her other three kitties Mia, Raoul and Trigger, even when Trigger is in trouble for stealing everyone’s food…again! Sarah is from Hayden, Alabama. She and her husband, Gardner, recently got married and moved to New Orleans to the New Orleans Baptist Theological Seminary. They have 3 dogs, Jasmine, Shaggy and Harper and 3 cats, Fat Cat, Brat Cat and Black Cat. Although the pets had to stay with their families in Alabama, they are going to add to “the family” a sweet baby Gecko. Lionel joined our staff in February 2016. He was born and raised in New Orleans, LA. He worked as an Animal Lab Technician for the Department of Animal Care at LSU Health and Science Center for 30 years. After retiring from LSU, he worked in the Vivarium Science and Research Department at Children’s Hospital as a Lab Assistant/Sterile Technician for 7 years. Lionel has been married for 45 years, has 2 daughters and 5 grandchildren. He is certified by the American Association for Laboratory Animal Science. He has a dog named Pee Wee and enjoys fishing and wood carving.